According to the National Association of Home Builders, one of the biggest trends in new residential design is the “pocket office”. The pocket office is a compact area with a desk space that is dedicated to managing the home through bill paying, scheduling, etc. But is this really a new trend? But what the NAHB is saying is not that pocket offices are a new trend but that home owners are moving away from the idea of dedicated home offices as a separate room in the house. 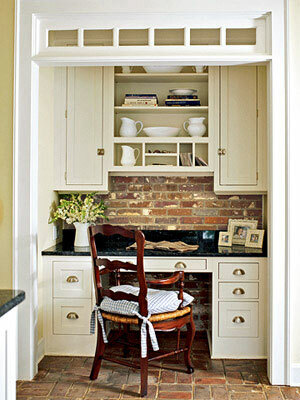 Instead home owners are more inclined to incorporate the home office into another room.